Health & Safety Policy for Electrical Contractors - Current Technologies Ltd.
At Current Technologies, we place the utmost importance on the health, safety and well-being of our employees and others who may be affected by our work. To achieve and maintain a safe and healthy working environment, we have developed a Health and Safety Program to promote workplace safety and control unsafe working conditions. The Health and Safety Program promotes specific health and safety training for all employees, and is designed to monitor the workplace for compliance with legislative requirements and attain best operating practices at all times. Believes that it is responsible, sound, and efficient management to incorporate proven health and safety principles into all phases of our operations and emphasize these as integral components of prudent business practice. Understands that the responsibilities for workplace health and safety must extend to all workplace parties (senior management, front line management and workers) on or off the job. 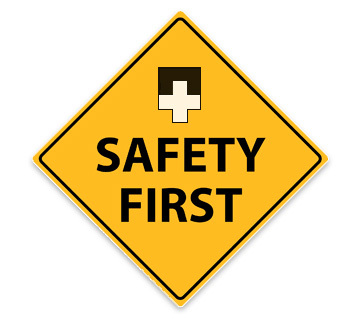 Recognizes that accident prevention and quality of working life must continue to be an essential part of our business operations and as such, will empower each individual to actively participate in their Health and Safety Program. Accepts the concept that the causes of accidents and illnesses can be controlled and the occurrence of personal injuries can be further reduced. Will continue to support the efforts of the Joint Health and Safety Committee. While complying with Ontario's Occupational Health and Safety Act and Environmental Protection Act and all applicable Regulations, accepts these statutes as minimum standards. Will continue to recognize safety performance as a factor in assessing all staff members' performance evaluation. As outlined in our Early Safe Return to Work Program, will endeavor to offer modified work to those employees who have sustained injury or illness with a view to facilitate their rehabilitation and to safely return them to their pre-injury job function as soon as they are capable. The success of our organization depends on our reputation to provide a quality product and service in a safe and timely manner. Health and safety must be incorporated into all facets of our operations. Through open lines of communication, objective discussions, and cooperation between workers, supervisors, management, the Joint Health and Safety Committee and other outside parties, our objectives of a workplace free of hazards, injury, and illness can be achieved.
" The point rating 97% is outstanding and we congratulate Current Technologies on the fine performance of the work completed "